Situated on the west coast of Sweden, Gothenburg, recently staged what is now the largest annual veteran tournament in Scandinavian countries; play commenced on Friday 4th November and concluded on Sunday 6th November. 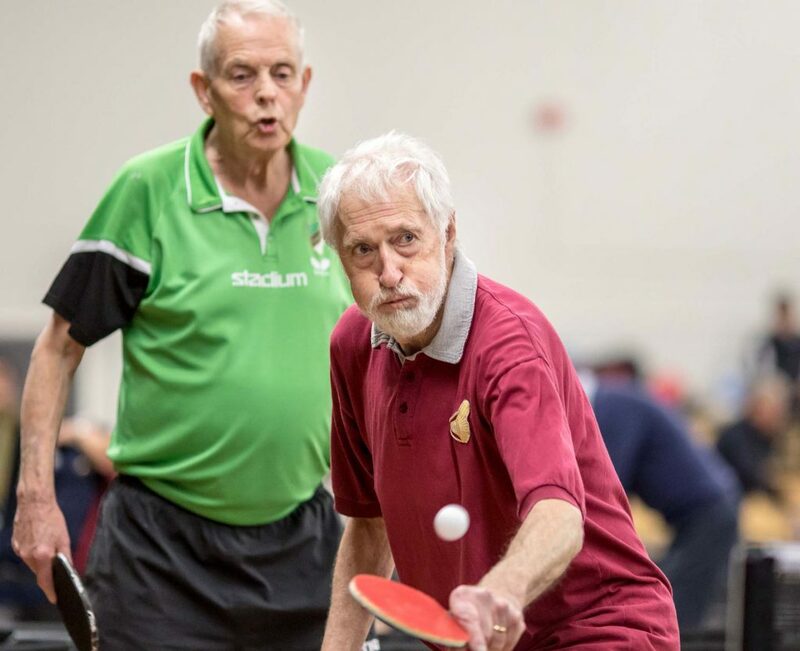 This was the 39th time players from all parts of Europe gathered, not only for three days of competition; also for social events; furthermore, players from Japan gave the tournament a global touch with Yukimune Yukihito being a bronze medallist in Men's Singles 40-59 years. Home for the tournament was the Exercishuset, located near local hotels, originally a military school and now a protected building; the historical setting provided a perfect venue with playing conditions of the very highest standards. Impressively, thanks to the hard work of the organizing committee, following the close of play on Saturday, the premises were transformed quickly into a banquet hall; all present enjoyed the dinner and the live music that was presented. Team events in two age groups, 40- 50 and 60 plus commenced proceedings; a total of 32 outfits participated with play being organized in two stages, a group phase followed by knock-out. The team events concluded, the next two days witnessed the individual competitions with Men’s Singles, Women’s Singles, Men’s Doubles, Women’s Doubles and Mixed Doubles being on the menu. No less than 120 players from nine countries took part with some 600 matches being played; matters came to a successful conclusion at 4.00pm on the concluding day of action. Notably the most closely contest final was in Men’s Singles Over 70 years when the host nation’s Lennart Björk met Denmark’s Erling Nielsen. After losing the two first two games, this year’s North European champion Erling Nielsen recovered to secure a five games success (5-11, 7-11, 11-7, 11-8, 11-9). 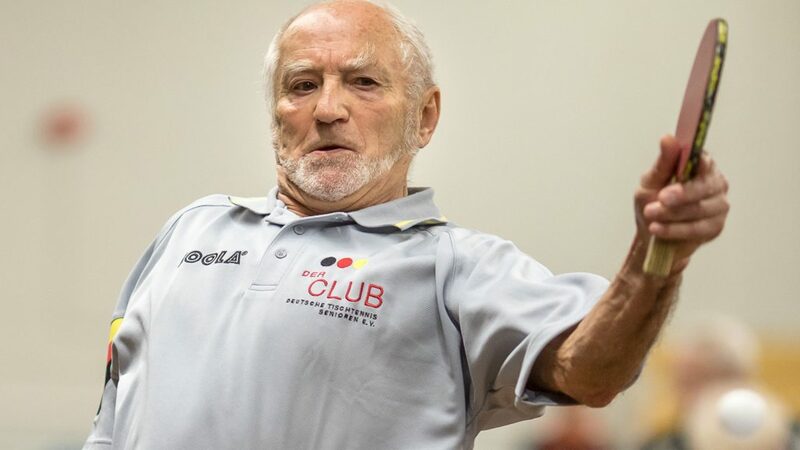 Success for the host nation, in the most senior Men’s Singles event it was the silver medal; Ingvar Johnsson was beaten in the final by Germany’s Peter Stolzenburg (11-6, 11-9, 11-6). 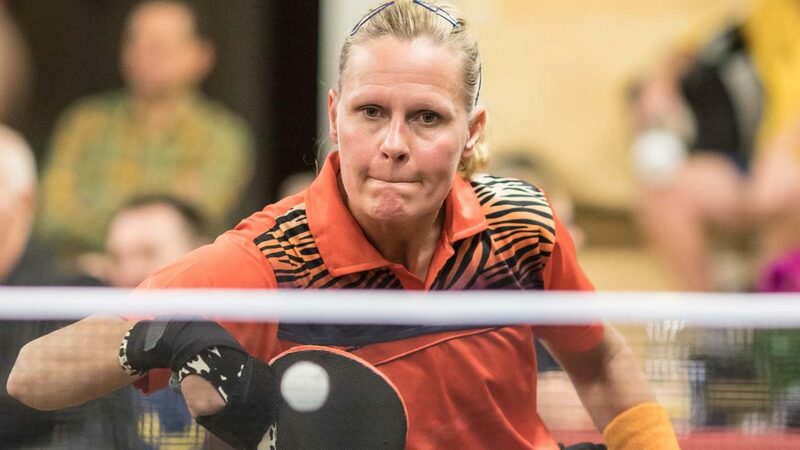 Meanwhile, in the most senior female competition it was gold for Sweden; a group organized competition, Anita Andersson, the reigning national champion, finished ahead of Russia’s Liudmila Trankvilevskaya in the Women’s Singles 65 years plus category.